Spring is just around the corner – so I hear anyway!! Now is the perfect time to give your home that spritz and spring clean. It is one of my favourite times of the year I feel like I am really decluttering my house, mind and wash pile! It feels good to be on top of everything ready for the warmer months and some of the products I love to use are ACE! 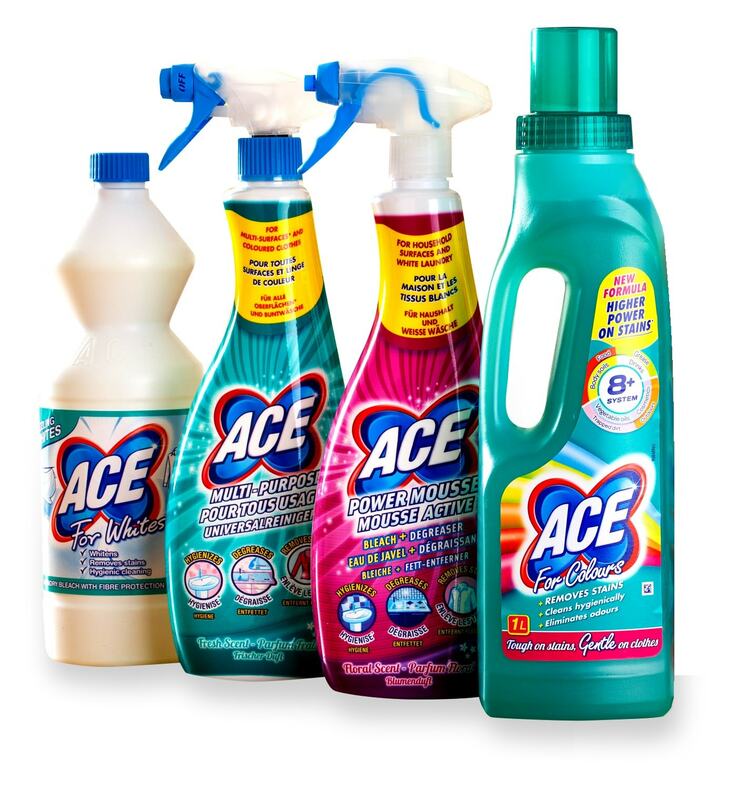 If you would like to be in with a chance of winning an ACE cleaning bundle then enter below! For more information visit www.acecleanuk.co.uk or to buy head to your local Tesco’s, Morrison’s, The Range, Wilko, Waitrose and Sainsbury’s. To be in with a chance of winning all you have to do is complete one or more of the entries using the Gleam widget below. Don’t forget to come back and complete the daily entries every day for more chances to win. Entrants must be 18 or over and a UK resident. Please read the terms and conditions before entering. Good luck!! Make sure you head over here for more giveaways!